Whoa, that’s a ton of stuff! I mean, literally. That box is supposed to hold 2000 lbs, and I’m guessing that’s probably a pretty good estimate of how much stuff is packed away in there. 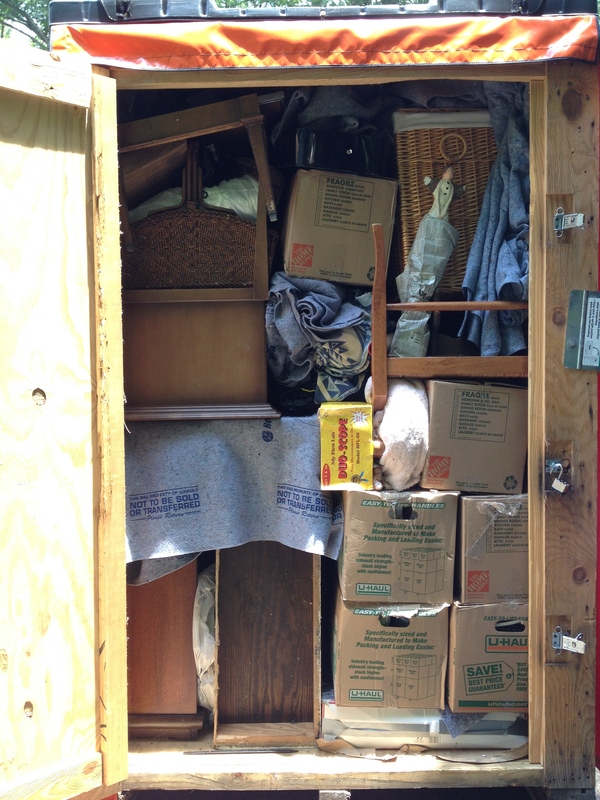 It took several weeks of intermittent work–and lots of jigsaw puzzle figuring–in order to get that thing packed. And now it’s done, and all sealed up. Tomorrow morning it gets hauled away, and it will remain in storage for the better part of a year. First: Even though I’ve packed away a ton of stuff, I walk around our house and, well, there’s still a lot of stuff around here! Second: If I could put all of the clothing and papers and books and furniture that we have discarded, donated, or sold over the past six months into a pod, would it equal this one box? Third: I’ve heard from more than one friend that the most amazing thing about putting stuff into deep storage is–you really don’t miss it. Which leads me to my final observation: Why does it take packing a ton of stuff into a box and storing it for a year in order to realize that maybe, just maybe, I really don’t need a ton of stuff in my life? Or three tons, as the case may be. This entry was posted in Uncategorized and tagged abundance, consumption, minimalism, reduce, simplify. Bookmark the permalink. Where would we be if we did not spend so much time and energy working to buy, maintain, and stuff our stuff into storage? Great anecdote! Thanks for that one. It is so true. We all have mountains of stuff and we don’t even realise it! My challenge seems like a micro challenge compared to your life!! Whatever challenge we undertake, it’s still a challenge! Good luck on your journey.